IBM i is an operating system that runs on IBM Power Systems and on IBM PureSystems. It was named OS/400 when it was introduced with the AS/400 line of computer systems in 1988, was later renamed to i5/OS, and was renamed to IBM i in 2008 when the IBM Power Systems were introduced. It is one of the operating systems supported on IBM Power Systems alongside AIX and Linux as well as on IBM PureSystems alongside AIX, Linux and Windows. The early IBM System/36 and IBM System/38 series customers were a key target of the AS/400, so OS/400 (and its descendants i5/OS and IBM i), have built-in subsystems that provide backward compatibility with these earlier IBM general business systems. IBM i programs, like System/38 programs before them, contain both processor-independent "virtual" binary code and processor-dependent executable binary code. Compilers for IBM i produce the processor-independent code as their output; the operating system automatically translates the processor-independent code into the processor-dependent code as needed, without the need for source code or attention by IT personnel. Notably, when migrating from a legacy processor, the only effect that most organizations notice is that the program runs somewhat longer when it runs for the first time on the new computer. Migration consists of taking a backup from the old computer, and restoring it on the new. IBM designed IBM i as a "turnkey" operating system, requiring little or no on-site attention from IT staff during normal operation. For example, IBM i has a built-in DB2 database which does not require separate installation. Disks are multiply redundant, and can be replaced on line without interrupting work. Hardware and software maintenance tasks are integrated. System administration has been wizard-driven for years, even before that term was defined. This automatic self-care policy goes so far as to automatically schedule all common system maintenance, detect many failures and even order spare parts and service automatically. Organizations using i sometimes have sticker shock when confronting the cost of system maintenance on other systems. Another peculiar feature is that this system was one of the earliest to be object-based. Unlike traditional OSes like UNIX and Windows NT there are no files, only objects of different types. It implemented one of the earliest-known systems for persistent objects. Further, the objects persist in very large, flat virtual memory, called a single-level store. The IBM i Access licensed product includes iSeries Navigator, a client-based and web-based graphical tool for administration of the system, database, Apache web server, and WebSphere Application Server. IBM Systems Director Navigator for i now can be used to manage target servers running IBM i 5.4, 6.1 or 7.1 from a single browser environment with the IBM i 7.1. In 1999, IBM introduced logical partitioning (LPARs) with i5/OS to support multiple virtual systems on a single hardware footprint. In 2014, IBM ported Node.js to IBM i. In 2018, IBM made available the Yum package manager and the capability to install open-source software via RPM packages. IBM i also provides an environment for AIX applications to run natively on the OS without the need for an AIX LPAR. AIX programs are binary compatible with IBM i when using its PASE (Portable Applications System Environment). PASE is essentially "an operating system within an operating system", supporting the most recent stable version of AIX. Most AIX 5L compatible binaries may be executed without modification or recompilation in the PASE environment. Exceptions to this are programs that contain direct calls to AIX kernel based APIs as there is no AIX kernel in PASE. If necessary an AIX program may be built directly in PASE using a standard AIX XL C/C++ compiler, for example if native APIs are to be used. In that case APIs are provided to translate between the AIX style pointers and the native 16 byte pointers. Support is provided for running both 32-bit and 64-bit AIX executables. Open-source software available includes Apache HTTP server, OpenSSL, Java, Ruby, PHP, Python, Node.js, gcc, Nginx, Git, and much more. When IBM announced the new Power Systems line of servers on April 2, 2008, they renamed the operating system from i5/OS to IBM i and changed the version identifier format from VxRxMx (Version, Release, Modification, e.g. V6R1M0) to the more standard format (e.g. 6.1). 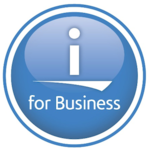 The latest version of IBM i is 7.3, announced on April 12, 2016 and released on April 15, 2016 (Version Support Schedule). With 7.1, IBM started delivering new updates to the operating system via Technology Refreshes. For 7.1, number 11 was released in October 2015. For 7.2, number 9 was released in September 2018. For 7.3, number 5 was released in September 2018. Version 7.2 was released in May 2014. Version 7.3 was released in April 2016. User groups have played a major part in the evolution of the IBM i. The largest such group is COMMON. The Large User Group (LUG), whose membership consists of major corporations, is a major influence for current and future development of IBM i. The Young i Professionals (YIPS) is another group that has been significant in influencing the direction of the IBM i. ^ a b c Soltis, Frank, "Inside the AS/400"; Frank Soltis was the AS/400 system architect. ^ "Node.js". IBM i Technology Updates - Open Source Technologies. ^ "Open Source Has Never Tasted So Good!". IBM Systems Mangazine - Open Your i. ^ "IBM i Open Source using yum". IBM i Open Source. ^ "IBM PASE for i". IBM. ^ "Planned Availability Date". IBM i 7.2 TR3 and IBM i 7.1 TR11 offer performance, usability, and integration enhancements. ^ "IBM i 7.3". IBM i 7.3 can deliver significant client value for database and security, and support for industry-leading workloads like analytics and mobile computing. ^ "COMMON". COMMON. Retrieved 2013-11-13. ^ "LUG". LUG. Retrieved 2017-02-09. ^ "Young i Professionals (YIPS)". YIPS. Retrieved 2013-11-13.